The Reference Point Bit is an extremely small (0.047" diameter) wire bit for preliminary identification of drill bit path. 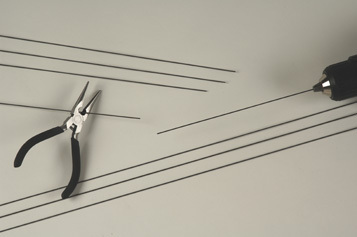 Made of 36" long spring wire, this bit can be cut at an angle and any length to make the smallest “reference” bit. Packaged as a convenient 10-pack.